Almost 200 sea turtles were rescued after a powerful cold front blew through the Laguna Madre region last weekend. 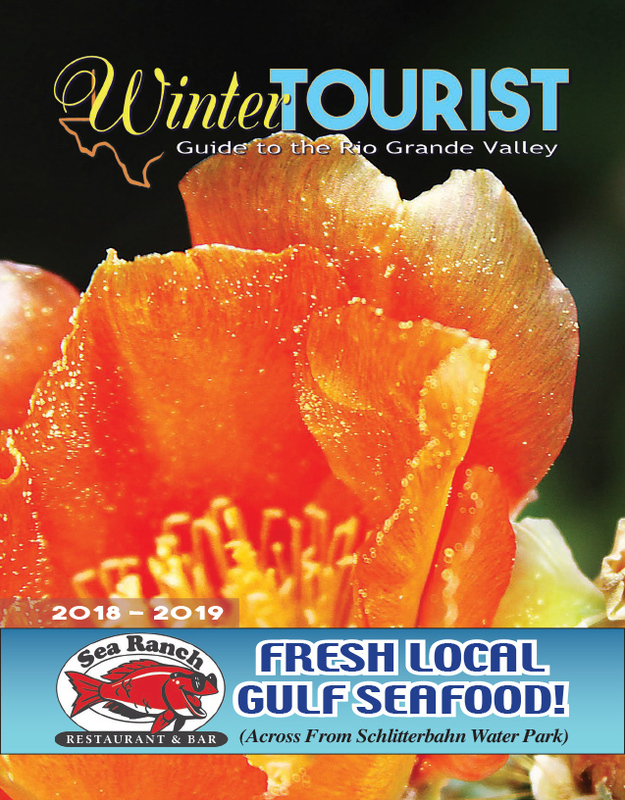 Staff and volunteers at Sea Turtle Inc. (STI) rescued a total of 191 Atlantic green sea turtles that had been cold-stunned when the water temperature in the Laguna Madre plummeted due to the fast-moving weather system. “The last few days we had weather in the 30s and 40s. When that happens there’s always the potential that we’re going to have a cold stun event,” said STI educator Khrystyne Jamerson Wednesday. 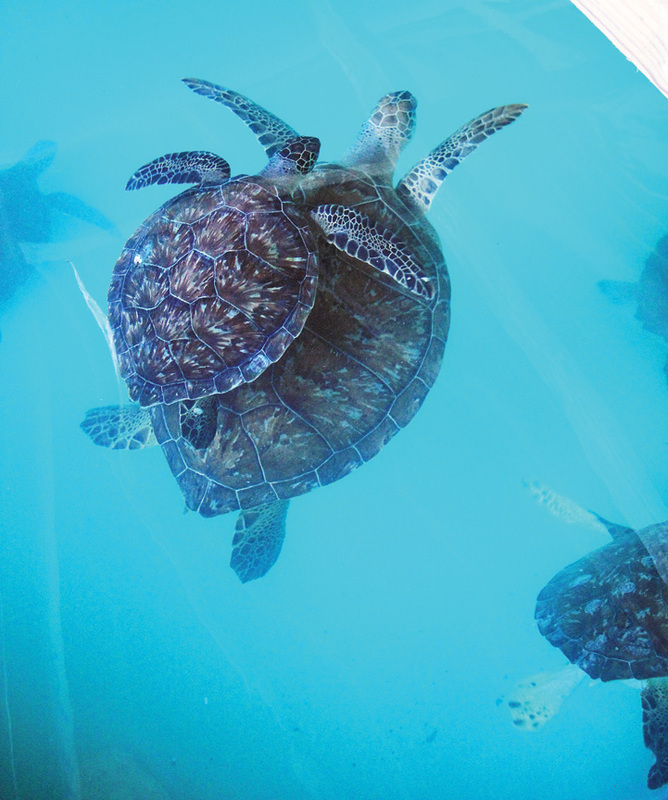 “These sea turtles are reptiles; they’re cold-blooded animals, so their body temperature is going to match the temperature of their environment,” she said. For some species of sea turtles, cold weather drives them farther out into the open ocean, where the temperatures remain warmer. For Atlantic greens, however, which mainly stay in the shallow waters of the bay in order to feed on sea grasses, there’s nowhere to go. The entire body of water becomes chilled, putting the animals into a catatonic state. “They go into shock, they start floating at the surface. 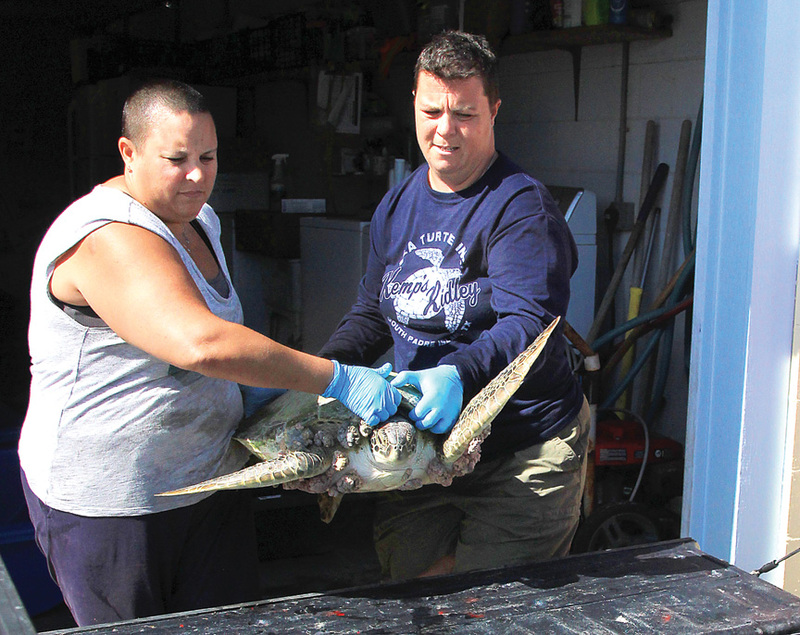 They become really lethargic and they get washed up on the beach,” Jamerson said.